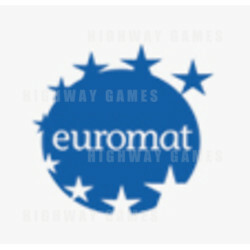 The European Gaming and Amusement Federation (EUROMAT) has confirmed that its annual summit will take place on 4th -6th June in Monaco at the Monte Carlo Bay Hotel & Resort. As the body representing the views of the low-stakes gaming and amusements industries to European institutions, EUROMAT has designed the new-format summit to enable operators, regulators and manufacturers to exchange information and views in a relaxed and informal setting. In addition to a full-day focusing on pan-European developments in social responsibility, the event will address developments in regulation and the impact of new technologies as well as also exploring the possibilities for the market place of the future. For many, the networking opportunities offered by the EUROMAT Summit will be as important as the structured sessions and the neo-classical splendour of the five star resort will provide a spectacular backdrop for the event. Located on its own peninsula in the heart of Monte Carlo, just 30 minutes by car or seven minutes by helicopter from Nice airport, the Monte Carlo Bay Hotel & Resort is situated in 4 hectares of private gardens and enjoys stunning views of Roquebrune-Cap-Martin and the Monte Carlo Beach Complex. The three day conference package will include relaxed lunches, drinks receptions and a celebratory Gala Dinner, to be held at one of Monte Carlo’s most prestigious venues.